National Association of Sporting Rifle and Pistol Clubs added 5 photos and a video. NRBAI Open Competition at FRC. There will be A bench Rest competition at FRC on Saturday 20th April. We will be taken entries from 09.30am. This competition is for Bolt Action Rifles. Factory sporter starting at 10 o clock followed by International sporter, Light Varmint and heavy Varmint. Good turnout of shooters for our latest competition at FRC. Thanks to Sean and the gang for organizing the shoot. Thanks to all the members who supported the competition. Some of the Medal winners on the day. At this years Irish Open in Bracken, NASRPC will be hosting an International Pistol Team event. We have already sent out invites to other Nations and hope to see them field teams in this event. The Competition will take place on Sunday July 7th. NASRPC felt it was high time we started to provide an International aspect to Pistol Shooting. We hope it will be the beginning of something great for the Pistol Shooters among us. The Competition is based around the GP85 Discipline introduced in 2018. With the best 3 from each being aggregated to give the overall Team Score. So … it is time to choose the Irish Team that will take part in the event. Following the final heat in June, the Leaderboards will choose the 4 Smallbore and 4 Centrefire competitors (top of board) who will represent Ireland. They will each need 2 scores including one of the last three heats in order to qualify. After that …. well it’s all up to them. Great days shooting today at FRC. Weather held well for us, Great turnout of Members, and most importantly every body enjoyed themselves. thanks to the RSO and Stats. Looking forward to our fun Shoot next Sunday the 24/02/2019. The AGM of Fermoy rifle club was held on Sunday 03/02/2019. There was a good turnout of Club Members, with very good interaction from the floor. Some very good ideas were put forward, this all bears well for the club going forward on to 2019. Only a week to go. When? Sunday the 3rd of February. All club members are requested to attend. Remember A club is only as good as the input it gets from its members. Membership Renewals for 2019 can be paid on the day. All ranges will be closed at FRC on Sunday 3rd of February. Looking forward to seeing you all the AGM. Wishing all our members and friends a very happy Christmas. looking forward to seeing you all in 2019. A sincere thanks to all the members who supported and made this league a great success. Competition = 2 Targets 1.T&P 1 & A fun Target. €5 per competitor per Competition. Shoot as Many times as you wish. Prizes and Medals for winners in both Pistol & Semi Auto. If you have not been to Castlebridge, out on the slobs, just the south side of Wexford town, we can highly recommend attending the next event there. They have a 7 lane indoor, warm, range – which was the ideal place to be last weekend in what was terrible weather. The guys worked very hard, in essence doing all the match prep, starting two weeks before collecting targets, running a preshoot for their ROs, doing all the ROing and organising a fantastic curry in the middle of each day. There was some exceptional shooting – with Castlebridges Richard Gregg putting in a huge score in OSBP25P – only for Courtloughs Mark McCandless to take him, by just 2x in the end. Competition in Pistol is getting tougher and tougher all the time. I think everyone will agree that we can all learn something from how Castlebridge operate. As it stands, our next outing is in February 2019. Back in Castlebridge. Now is the time for clubs to be thinking of when they will be ready to host a national next year and get it on the calendar. There will be a Match Admin & CRO Upskilling day in Hilltop on January 12th. An ideal opportunity for clubs to get a few members ready to run their National and, in turn, run their own upskilling day for more of their members. We would welcome people letting us know what sorts of things they would like to see covered on this day. Fun Shoot at FRC, Sunday 11th November. Fun Targets & 1 Precision target. Medals for winners in both Semi Auto and Bolt Action. FRC Club Shoot Today, 14/10/18. Excellent club shoot today, great turnout of members. Some great scores. Also a personal best for Anthony Connolly, 120 out of 120 Multi Target. Special thanks to our ROs and Stats Anthony and Orla. .22 Pistol and Simi Auto Rifle. Winners of today’s Bench rest competition at FRC. NASRPC National Lough Bo. Sligo. Well done to Anthony Connolly and Damien McCormack. Anthony won a Gold and two Silver. Pistol and Rifle. Small bore Competition. T&P1 and Multi Target. Combined scores to count. The National Rimfire Benchrest Association of Ireland. On Saturday August 11th. 10am to 3pm. Great weekend at the NASRPC international open. Magnificent weather and a very high standard of shooting by all competitors. 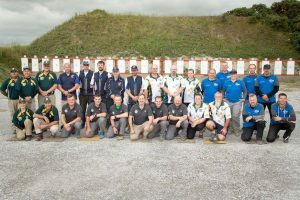 Congratulations to both the center fire and small bore irish teams who took both trophies. Special thanks to the great work by the lads from the NASRPC, all the ROS. And the lads from the midlands shooting centre. Unfortunately the Gold evaded the lads from FRC. But they wore their colours with pride and returned home with 5 medals. Noel Connolly Silver and Bronze. This was the first International open that these competitors took part in so well done to one and all. The Ranges at Fermoy Rifle club will be closed on This Sunday, July the 8th. FRC will be open as usual from next Tuesday, 10th of July. To be held at The Midlands National Shooting Centre, Co Offaly. National Association of Sporting Rifle and Pistol Clubs is at Midlands National Shooting Centre of Ireland. The teams to represent Ireland in the Irish Leg of the 2018 IGRF International Series have been announced. o Centrefire Gallery Rifle 1500 (Standard). The IGRF matches will take place on Saturday the 7th July, during the 2018 Irish Open in MNSCI. Irish Teams were selected by the NASRPC National Leaderboards, following the FRC 2018 match and availability has now been confirmed. Please join us in wishing them, and the teams from the other IGRF Nations, the very best in their competitions. While we have some familiar faces on the teams – we would like to welcome Eamonn Gallagher from Courtlough Shooting Grounds to Team Ireland. While not in the sport very long, Eamonn has progressed steadily. Only a couple of months ago we had Mike O’Grady and Aidan Corry from Kingdom “An Riocht” Rifle & Pistol Club qualify for the Irish teams for the British leg of the series. It is great to see new blood climbing the leaderboard and creating healthy competition for team places. It bodes very well for development of the Irish Teams in the run in to the 2019 IGRF World Cup in South Africa. So again, best of luck to everyone competing this weekend. Great result for FRC members at National Competition. A very busy June at FRC. On Saturday 16th we will be hosting the NASRPC National competition. We look forward to welcoming competitor’s from all over Ireland. This competition is open to all our club members, anyone wishing to take part can register on line with the NASRPC from Wednesday the 13th, This is the last National before the International in July. On Sunday the 17th. We will have a club Rifle competition, Benchrest, prone and precision. We will have gusts in FRC on Saturday evening the 23rd. The Gang from Three Counties MCC. They will be hosting a BBQ when they arrive with us around 5.30pm after their 5th Annual 200km motorcycle run. Any members of FRC are more than welcome to attend, and enjoy good food, good company and craic. There will be a shoot on Sunday 24th from 12pm to 3pm for all our guests. It’s that time of year again when the NASRPC send Irish teams to represent our Country and Organisation at International level in Gallery Rifle. This time the destination is Bisley for the UK Leg of the IGRF International Series. The following are the team members who qualified and have confirmed their availability . Daniel O Flaherty Cpt. 3685. I ask you now to join with me in wishing both teams the best of luck. The NASRPC would also like to take this opportunity to wish all individuals travelling to Bisley the best of luck and a safe journey. Scores from the following disciplines will be aggregated from each club, to give a club score which will count towards the 2018 NASRPC Club League. Prereg will open, in general on Wednesday May 9th @ 12 noon. MNSCIs ranges have not been made specifically wheelchair accessible. Last Detail will begin at 18:00pm. The sun came out for a great weekends shooting – with the breeze getting going in the afternoons and the occasional shower on the Sunday – it didn’t seem to put anyone off. GP85 proved popular again and we saw some very good scores across all disciplines. People come from all over the world to see the views we had from the back of the range – out over the reeks and down to Inch Beach. Thanks to Pat, Jim, Mick & All the gang at An Riocht for hosting us and organising the sunshine. Our next outing will be MNSCI on May 12th. A Special thanks to Esther Connolly for all the excellent sandwiches that helped sustain us through the day. National Association of Sporting Rifle and Pistol Clubs is at Kingdom “An Riocht” Rifle & Pistol Club. There will be a range work day on Saturday next the 14th April. We would be very grateful for any help from our club members on the day. Lots to be done, so if you have a couple of hours to spare, we hope to see you on the 14th. Kicking off around 10.30am. 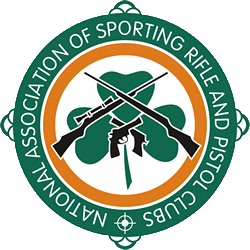 [Results] Mar 24/25 2018 – National Competition – Munster Target Shooting Club. What a brilliant weekend we had at the nationals at MTSC. There was a great turnout of competitors from all over the country. Fermoy members came out in force to support the national Competition and i’m delighted to say they did not leave empty handed. Fermoy came home with a total of 17 Medals. 6 Gold 6 Silver 5 Bronze. The charge was led by our club champion Gerry Conway, 3 Gold and 2 Bronze. Declan Fitzgerald with 1 gold 2 silver and 1 Bronze. Brendan Conway, who won his first medals in Gory earlier in the year added 1 Gold 1 Silver and 2 Bronze to his collection in his 2nd ever National. Taking Part in His first ever National. Anthony Connolly won 1 Gold and 2 silver. For full Competition Results follow the link below. The Ranges at Fermoy Rifle Club will be closed,on this Sunday the 25th March. Best of luck to all our members who are traveling to the NASRPC National competition taking place at Munster Target Shooting Club. The Next NASRPC National Competition Will be held on Wednesday April the 4th at Red Ridge Target Club, Co Carlow. contact competitions@nasrpc.ie for more details. however, wheelchair competitors have competed there before. and not included in any discount. Last Detail will begin at 17:00pm on Saturday and 15:30 on Sunday. NASRPC Results. Gorey February 2018. Full lines all day at the first NASRPC national competition of the year at Gorey & District Pistol and Rifle Club. The range was fully pre booked but also managed to facilitate many walk-ins. The atmosphere was great, with many excited to get back into the competition season. Shooters travelled from many of the 19 NASRPC clubs around Ireland. Some good scores recorded and great craic as usual. We at An Riocht believe that the targets used in small bore pistol competitions are not correct, there should be no difference between, full bore pistol targets and small bore targets. The small bore targets, that are used it T&P1 and Multi target were brought in to play for gallery rifle competitions in the United Kingdom after the pistol ban, and due to some misinterpretation of the rules, here in Ireland they are wrongly used for small bore pistol competitions. Our submission is, that all pistols, be it full bore or small bore, be shot on the one target going forward, in such way as to revive pistol shooting in Ireland, and bring it in to line with the rest of Europe.I am delighted to say that this proposal was unanimously carried by all the clubs at the AGM, for T&P 1 and Multi Target. This new Rule comes in to force with immediate effect from the 11/02/2018. NASRPC elects new committee at AGM in Cork today. Karl O’Brien, (Hilltop) Vice Chairman. Paul Fry, (ECSC) Hon. Secretary. Ruth McGroary (Donegal Target Club) Treasurer. Pat O’Mahoney, (An Riocht) National Development Officer. Nigel Barrett, (Hilltop) National Competitions Director. Welcome on board, looking forward to the year ahead. Therefore the cutoff date for submission of resolutions is Saturday 27th January 2018. On Saturday 3rd February an updated agenda shall be published to the NASRPC outlining the Motions that have been proposed. On Saturday 3rd February an updated agenda shall be published to the NASRPC outlining the Nominations received for Election of Officers.. This covers any other business which people may wish to raise at the AGM, aside from motions, nominations, reports etc. In the interests of expediency, we would ask that people, where possible, submit their questions or requests, in advance, to secretary@nasrpc.ie so that the answers can be prepared and the best use made of everyone’s time on the day. Any member of an Affiliated club of the NASRPC. Once a quorum, as defined in the NASRPC Constitution, has been established, any matter requiring a vote may be passed by a simple majority vote of accredited delegates. “Each member in good standing, shall have the right to cast one(1) vote – through its accredited delegate – at any meeting of the association, where so asked to vote. Medals In Gory for FRC Members, 1st NASRPC National 2018. This was one of the very many national competitions that Gerry has taken part in, and as per usual he returned with a medal and two personal bests. Well done Gerry. Not to be out done, Brenda brought home two medals and A personal best, Not a bad result for your first National. Well done Brendan the first of many. Fermoy Rifle Club shared National Association of Sporting Rifle and Pistol Clubs‘s post. Well done Guys from all at FRC. World Cup team mates Jeff Kehoe, Daniel O’Flaherty and Len Regan celebrating Jeffs Garda Sports Star award on Saturday night at the Coiste Siamsa Awards in Portlaoise. Great to see our International team being recognised for their hard work and dedication to the sport by Minister Flanagan and the Garda Commissioner. As we start into our new year the NASRPC invite all interested to our next training day. Saturday the 10th of February. Time: 10:30 am to 3:30pm. Beginners and Intermediate Competition Training. o Beginners Competition Training assumes no prior competition shooting experience and will be mostly dealing with safety and looking at some of the more entry level competition disciplines that people can start out on. o Intermediate Competition Training will be for those that have already begun competing and want to get better. 1020, 1500, T&Ps, Multi Target, Precision hints and tips for competition preparation and equipment requirements. What do you need on the day ? Your firearm and ammo suited to the list of competitions named. Pistol or Revolver Rimfire or Center Fire. We will have experienced shooting instructors, current Irish team members & experienced competition shooters to help and guide you through a very enjoyable day. Whether you wish to take part in beginners or competition training. Well things are starting to settle down here at NASRPC HQ and get back to a more normal pace, it was a great pleasure for us to be involved in such a hugely successful event and again we would like to thank you all for attending whether it was competing, working or just enjoying the craic, maybe it was a combination of all three. Anyway here are the results 2017IrishOpen-results so you can see how you got on against the best of the best. 3 Gold, 2 Silver and 2 Bronze. The Teams that will take part in the IGRF World Cup to be held in the MNSCI, Co. Offaly on Sunday July 9th. Best of luck to all from everyone at Fermoy rifle club. June 2017 – NASRPC National Competition. Gold and Bronze for FRC Shooter In National Competition. Congratulations to our vice chairman, Brendan Kelly, who took Gold, with a personal best score of 103 in Multi Target and Bronze in the Embassy cup. The NASRPC Competition was held on the 10th and 11th of June in AN Riocht Ranges. Well done to all who organised and took part . All the results are available on our Competition Results page, just follow the link above. Range Closed Tuesday the 18th April. The Ranges at Fermoy Rifle Club will be closed on Tuesday The 18th of April, as a mark of respect to our friend and colleague, Declan Fitzgerald on the sad loss of his Mother, Mary Fitzgerald. Our sincere condolences to Declan and his family at this sad Time. The AGM of Fermoy Rifle Club took place in the Fermoy Community center. There was a good turnout of Members in attendance.The committee would like to thank all the members who were able to attend for their valued input on the day. Elected officers For 2017 were. Wishing them well in the coming Year. Fermoy Rifle Club AGM Takes Place Today. Date: Sunday 9th April Time: 2pm. Venue: Community Youth Center. Ash Quay. Fermoy. All members are cordially asked to attend our AGM. Munster League 12/02/2017 @ FRC. There was a great turnout of shooters for the first round of this years munster league. Old friends meeting and new friendships formed, this is what our sport is all about. Get all the results of the day on our Results page just follow the link above. Also a list of the winners of the 2016 Munster League can be found on our results page. Watch this space for further league dates. The 1st round of the 2017 munster league will take place in Fermoy Rifle Club this sunday the 12th of February. Commencing at 10am. We look forward to meeting our friends from An Riocht and Munster Target Shooting Club for the start of this very popular yearly event. Also there will be a presentation of prizes for the 2016 league at this competition. Munster League Final 2016. Will be held on Sunday 11th of December at Fermoy Rifle Club. The final of the Munster league will take place at Fermoy Rifle Club on Sunday, The 11th December. Best of luck to all competitors taking Part. Fermoy Rifle Club, Co Cork. as selected by the NASRPC clubs, at their most recent meeting. The NASRPC committee would like to announce that our chairman Gerry McCarthy will be the Match Director for the upcoming National Finals. Also should they be needed we have a Match Jury for the event and Kieran Barry, Bill Connolly and Nigel Barrett have taken on this task. The very best of luck to everyone taking part. Munster League 2016. Next Leg, Sunday 11th September at Fermoy Rifle Club. The next leg of the Munster league will take place at Fermoy Rifle Club this Sunday, The 11th September. NASRPC National Shoot at FRC Saturday 25/06/2016. There was a huge turnout of shooters for this competition in Fermoy Yesterday (Saturday 25/06/16). There were competitors from Target clubs from all parts of the country. Competitors had a great day with very pleasant weather conditions for the competition, and the smooth running of the shoot by the very hard working NASRPC officials on the day. We were delighted to host this competition in Fermoy Rifle Club, Our thanks to Everyone involved for making this a very successful event in our Calendar. Due to unforeseen circumstances, Tomorrows Munster League Shoot in Fermoy has been cancelled. More Info: FRC intend to have food available to purchase at the range during the match. Munster League 2016. Next Leg, June 2016. The next leg of the Munster league will be held on Sunday 19th June. instead of Sunday the 12th of June. The competition will take place at Fermoy Rifle club and we are looking forward to meeting every one there. Munster League 2016. Next Leg. Sunday next the 29th May will see shooters travel to Munster Target Shooting club in Ballyhoura, to take part in this very popular League, Best of luck to all. Information Received From The NASRPC. At a recent NASRPC event, an issue arose regarding the use of a restricted firearm belonging to another competitor. For context, a competitor’s restricted firearm malfunctioned earlier in the day, and they wished to use an identical firearm in the same calibre, so he could compete in an important match. This “substitute” firearm was not licensed to him. After some discussion, the competitor withdrew, as the legal position of this request was unclear. To clarify this position for the future, we decided to consult a barrister who is also a shooter, for guidance and to seek advice. We have now received his advice, which states that although there would seem to be a discrepancy between the primary legislation and the SI, which deals with the use of firearms on the range, in all cases, the primary legislation trumps the secondary legislation, that is the SI. Therefore the NASRPC committee wishes to council the members and the clubs that in the case of restricted firearms, only the person with a firearms certificate for the specific firearm may use that firearm on shooting ranges. A restricted firearm may not be shared with any other shooter, even though that shooter may be licensed for the same class/make/model of firearm, of the same calibre. Munster League 14/02/16 at Fermoy. There was a good turnout for the first competition in this years Munster league which was held in Fermoy on Sunday. Thanks to all who helped out with the scoring and thanks to the Range Safety Officers for all their hard work. Looking forward to the next leg which will be held next month at Munster Target Shooting Club. There is a link on our results page for all the results from Sunday. The first shoot of this years Munster League will take place on Sunday the 14th of February, at Fermoy Rifle club. As we enter the new year there are a lot of exciting developments in the field of Target shooting. We hope to have a calender for the Munster league on site within the next few days. This is very exciting news as it was a very successful event in 2015. The competition will be commencing in February. Watch this space for updates over the coming days. The AGM of the NASRPC (National Association of Sporting Rifle and Pistol Clubs) was held in the Osprey Hotel, Naas, Co Kildare on Saturday 16th Of January. Karl O’Brien (Hilltop), Vice Chair. Nicholas Flood (East Coast), Hon. Secretary. Mike Nestor (Harbour House) Treasurer. Mick McGrath (An Riocht), Asst. Secretary. James Connolly (Lough Bo), PRO. Jeff McCann (MTSC), National Competition Director. Noel Thompson ( Harbour House), Child Protection officer. Congratulations to one and all. we look forward to working with them all in the future. For further news on the NASRPC please go to our links page. Also FRC would like to thank the outgoing committee for all their hard work for our sport in the past. New S.I. and Press Release by Minister for Justice. Follow the links below for an up date on the latest press release from the Minister for Justice on the Licencing of firearms that have come in to affect from 15/09/2015. Munster League Final at MTSC Ballyhoura. The last leg of the Munster League was held in Munster Target Shooting Club on Sunday 06/12/15. This brought to an end our first League to be held between the Munster clubs. The League has been a tremendous success trough 2015, and last Sunday for the final in Ballyhoura was no exception. There was a great turnout from all 3 clubs, with great competition between all the competitors. Prizes were taken by all 3 clubs in the end in the different categories. Fermoy Shooters were at the forefront of the prizes taking some 1st places, 2nd places and 3rd places. Gerry Conway had some great wins in the rifle competitions with Declan Fitzgerald getting a 1st and 3rd place in the pistol completions. Well done to all. The league will be taking a break in January but will be starting off again in February 2016. Munster League is confirmed as going ahead tomorrow at Munster Target Shooting Club. The next leg of the Munster league will take place Sunday, the 6th December. The competition will be held at Munster Target Shooting club. Ballyhoura. To facilitate club members travelling to this competition, Fermoy ranges will be closed on Sunday the 6th December. This is the last leg of our inter club competition, the Munster League, We would encourage as many members as possible to go to this competition. Also a special thanks to all 3 clubs involved in this league, for all their hard work and support which has made the league so successful and enjoyable. We look forward to a new league starting early in 2016. Munster League at Fermoy 04/10/2015. Thanks to all that supported the Munster league in Fermoy. Only two more dates available for this Competition. The next leg of our League will be held on our range in Fermoy on Sunday October the 4th. We look forward to a good turnout for this competition. There has been great support so far from all 3 clubs involved in this competition. National Rimfire Benchrest Association of Ireland. Our friends from the benchrest association will be holding a benchrest competition at Fermoy Rifle Club on Sunday the 4th of October. we look forward to seeing all the rimfire rifle shooters there. Members of Fermoy Rifle Club Travelled to Ballyhoura to the Munster target Shooting club for this leg of the Munster League. Declan Fitzgerald took 1st place in the Multi Target, and 2nd place for the T&P 1. Brenden Kelly took 1st place T&P 1 rifle. Gerry conway Got 2nd place in Multi Target and 3rd place in T&P 1. rifle. Next Munster league competition wild be a home event, at Fermoy on Sunday 4th October. Declan Fitzgerald took two 1st places in the T&P 1 and Multi Target small bore pistol. Gerry Conway Took a 2nd place in the rim fire rifle T&P 1. Also a very well done to a new club member Brendan Kelly with a 3rd place in the multi target rim fire rifle. A full list of the results can be had by following the results link on the Calendar page. The next leg of the Munster league will take place on Sunday August 16th at An Riocht Shooting Club. Castlemaine Co. Kerry. The Support of our club members would be greatly appreciated for this event. As most members will be travelling to An Riocht for this Competition the ranges in Fermoy will be closed on Sunday Next the 16th. FRC would like to welcome our friends from the IPAPC shooting club to Fermoy ranges on Thursday 27th august. Ranges will be opened to our own members as well. for further information please contact 085 8851829. Munster League Inter Club Shoot on Sunday 03/05/15 at An Riocht Shooting Club. FRC members travelled to Co Kerry on Sunday Last 03/05/15. To the An Riocht club for another leg of the inter club Munster league, the club was well represented, with Gerry Conway taking 2 firsts one second and a third place in 4 of the competitions. Declan Fitzgerald took a first and second place in two completions with Noel Connolly taking a third place. Fermoy is competing very well in the league so far. Munster League Inter Club Shoot on Sunday. 19/04/2015. At Fermoy Rifle Club. FRC were the hosts for this leg of the competition, we were blessed with a beautiful sunny day. We had a great turnout with excellent support from all three clubs. FRC did very well on the day with Gerry Conway taking 3 firsts in 3 competitions. Declan Fitzgerald took a first and a third place in 2 competitions. Kieran Barry got a first place followed by Noel Connolly who took a third place. Well done to all. A special thanks to all who helped with the admin on the day, also for the excellent job done by our Range Safety Officers. This was the second leg of this years inter club shoot, the first leg having taken place at the An Riocht club in Kerry. There was a large crowd of participants with a good presence from Fermoy Rifle Club on the day. Fermoy had a good result with three of our shooters being placed in the top three in six of the competitions. Fermoy Rifle Club is one of the best known rifle clubs in Ireland. Founded in 1992, the club’s facilities and membership have grown steadily and the club now hosts and competes in many national competitions. We take tremendous pride in the fact that our member have won many national awards over the past 25 years. Many of our members have also competed at international level. a 100m metallic silhouette range and additional gallery range. Based near Ballyhooly, approximately 30 minutes north of the Jack Lynch tunnel, the club attracts members from all over Munster and members of all ages. With its wide range of facilities, the club offers new members an opportunity to experience and develop their shooting skills in a friendly and experienced environment. Younger members are guided in key skills such as concentration, attention to detail and safety. New members welcome. See our membership page. Gallery shooting is one of the most popular shooting disciplines, enjoyed by shooters of many skill levels. During a gallery session, the shooter stands at increasing distances from the target, often switching hands between each group of shots. Typical gallery distances are from 10m up to 50m. To ensure safety, shooters may only open fire upon the command of the Range Officer. Shotgun gallery shooting is well known in many countries but very few clubs can offer this due to the loud noise that shotguns produce. However, one of the alternatives, centrefire leveler action shooting, is offered to members by Fermoy Rifle Club. Centrefire is quieter, more affordable and develops the same skills as shotgun shooting. For example, a shooter begin with an affordable rifle like a Ruger 10/22, gain a bit of experience and then move on to lever action. Fermoy Rifle Club also boasts a 50m prone range. Prone shooting is another fast-growing discipline where shooters lie on their stomach and support their gun with their arm or using a bipod. This type of shooting requires a high degree of skill, as breathing technique and concentration skills are paramount to success. Anyone who likes a challenge will very much enjoy prone shooting. Pistol shooting is one of the fastest growing areas of shooting. Although it is fun and easy to get into, pistol shooting can be difficult to master and may require perseverance, it is the perfect discipline for those who like a challenge. The discipline is shot using either revolvers or semi-automatic pistols. With increasing interest in this type of shooting, there are also many competitions available. Fermoy Rifle Club has a dedicated pistol shooting gallery. Benchrest shooting is one of the oldest shooting disciplines and is extremely popular. In this type of shooting, the shooter sits at a table, the ‘bench’, with their rifle supported in a rest. Most shooters use a bolt action rifle and match-grade ammunition for best results. 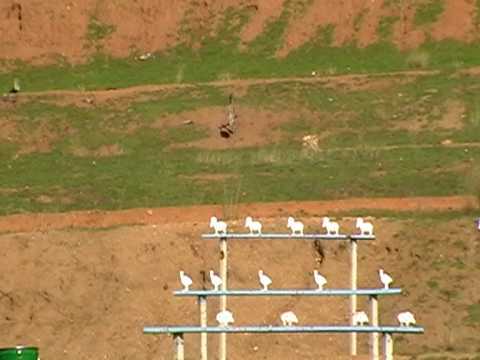 The aim is to hit a small target at 50 or 100m distance, assessing windspeed and controlling breathing before firing. A rest is a metal support which holds the rifle, sitting on a leather, foam or fabric sandbag. It is adjustable to maximise comfort and accuracy. Fermoy Rifle Club has rests available for its members on-site, but members are welcome to bring their own. Rests are manufactured by companies such as Caldwell and are available from any good registered firearms dealer or online. Silhouette shooting is similiar to benchrest shooting but instead of paper, the targets are metal forms. Fermoy Rifle Club has a dedicated 100m silhouette range. Many shooters find silhouette shooting to be very satisfying and also a lot of fun. Fermoy Rifle Club is affiliated to the NASRPC – the National Association of Sporting Rifle and Pistol Clubs and the NARGC – the National Association of Regional Game Clubs.